Hello, my name is Michelle Jankovic and I am the founder of Helping Hand Is Here. My family has personally experienced the blessings, support and services of the Royal Children’s Hospital Melbourne. Join me as I walk through the most magnificent world-class facility for patients, families, carers, visitors and staff. Both my children have been patience of the Royal Children’s Hospital. My son to date has had sixteen operations and counting. My daughter, one. Many hours spent travelling back and forth for operations, checkups, ultra sounds, x-rays, rehabilitation and Gait Lab observations. Along the way, I have seen the old taken over by the new glorious purpose built hospital. Memories of the old Royal Children’s Hospital still embedded in my mind. So many memories of where my journey began as a carer. My son being born 8 weeks premature saw me propelled into the Royal Children’s Hospital where we stayed for many weeks. Nights walking down dark corridors to the Newborn Intensive Care Unit (NICU) to check on my son. The darkness was deafening at times as I walked in worry for the unknown outcome of my child. Now we attend the new glorious Royal Children’s Hospital. 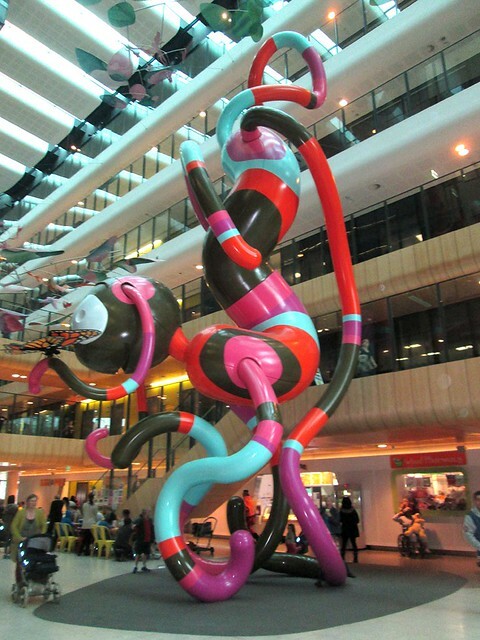 As you enter the Main Street which is the hospitals central hub, you are over powered by a 14-metre tall sculpture called Creature. This sculpture welcomes you as it gazes with a beautiful butterfly gently flapping its wings. It is a great meeting place when friends and family come to visit. My personal favorite is the many cafés and coffee stops now available in the hospital. As you might not be aware, I am a coffee addict and the new Royal Children’s Hospital has not let me down in this department. When I am confined to the ward in a very large hospital room with bathroom, during my children’s seventeen operations, the thought of coffee gets me through. My husband sweeps in the door and saves the day by relieving me by sitting with our children who are bedridden. A quick dash down stairs to enjoy a coffee from the many café options available fills my tank to take on another day. 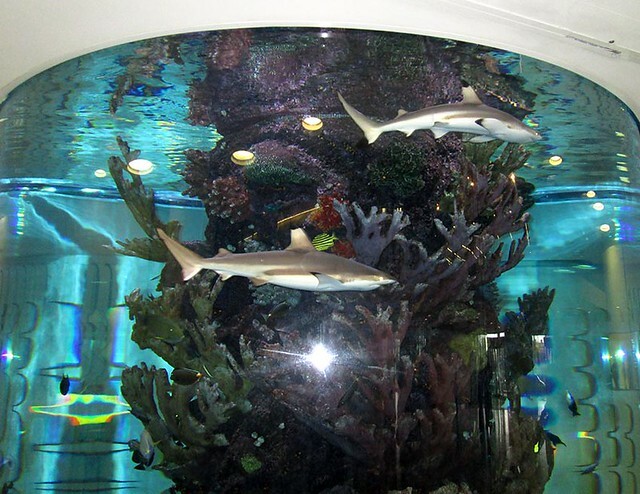 A two-story coral reef aquarium draws your undivided attention visible from Emergency on lower ground and Main Street. Children are always flocked around this grand feature which is stocked with around 25 species of fish. The tank holds 153,000 litres of water and is maintained daily. Royal Children’s Hospital is home to cheeky and inquisitive meerkats. Their enclosure is located in the Specialist Clinics waiting area on Ground floor. These little guys are full of fun and movement. Children enjoy getting up close watching them scurry around their enclosure from behind secure glass. I wish they were around when my children were younger and we attended checkups sometimes weekly. Keeping children entertained when they are sometimes in pain and discomfort or spend a lot of their life in hospital is a hard task. 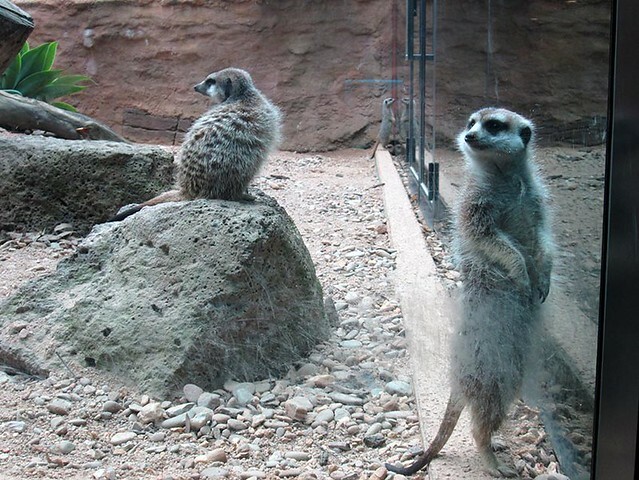 The meerkats in the main waiting area do a great job providing distraction for many children. The secured outdoor playground is a great space. I found the vast playground a great opportunity for my daughter and I to catch up when I have had long stays with my son at the hospital. As much as I love coffee and my daughter enjoys a Babychino, (I don’t know where she gets that from), the confines of a café is no place to spend limited quality time with her. 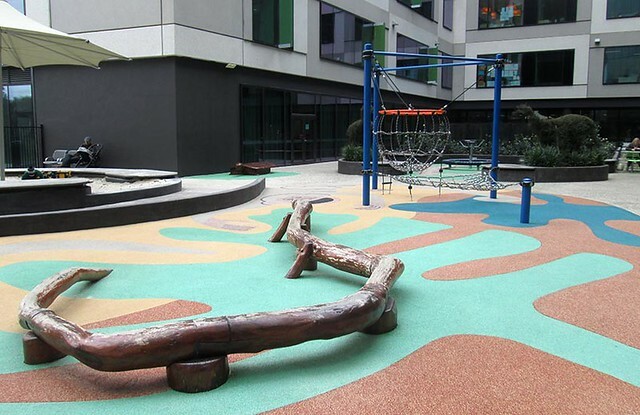 The playground is an opportunity to get off the ward and take in some fresh air. Sand play for fine motor development, wooden log for balance, soft flooring for safety allows a fun time for all. The Family Resource and Respite Centre provides a quiet relaxing area for families and carers. 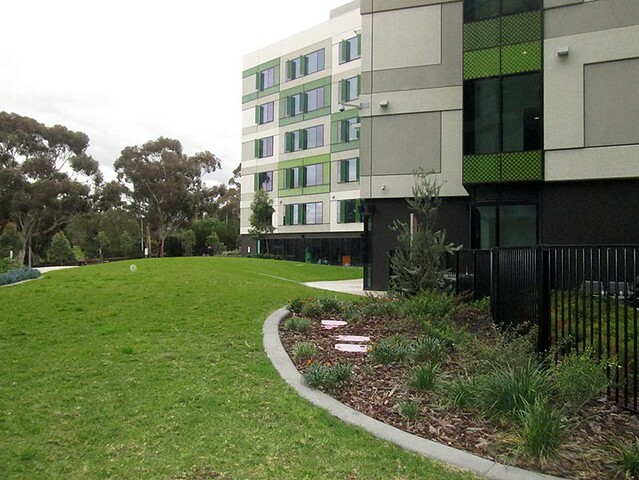 This is the heart of the Royal Children’s Hospital for me. My hide out, my quiet time. A place where I come to get off the ward which doesn’t feel like I am in hospital. Kitchen facilities where my family come to visit and we retreat to. I like to be connected to the world at all times and the internet facilities allow me to be in contact with friends or to research disability support we need. 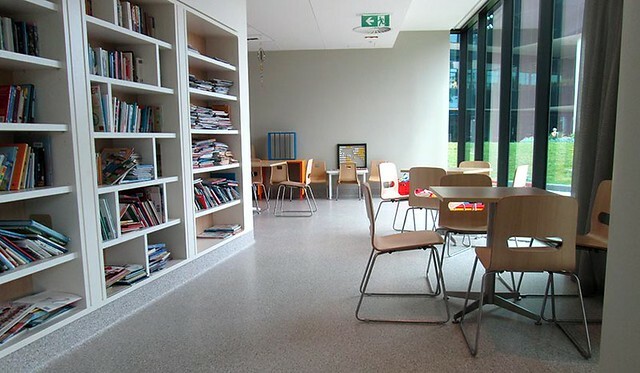 The Family Resource and Respite Centre provides a lounge area, business center with internet access, quiet room for sleeping or rest, private cubicles for breast feeding or expressing, toilets, baby change facilities, kitchen and meals area, lockers and day storage, mobile phone charges, ironing facilities and sewing kit, library, access to Centrelink support and emergency care boxes.